free delivery for all orders above $80! Feel complete as you sink your teeth into this melty, nutty goodness topped up with a roasted cashew nut crunch. 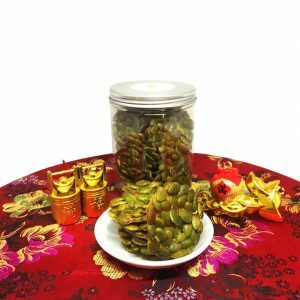 The perfect Chinese New Year Goodie, you will never get anything more Auspishewous than this! 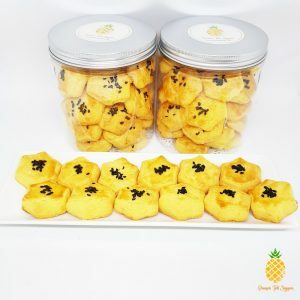 Pineapple tarts singapore im your biggest fan! Best pineapple tart in Singapore! unique taste and texture and unique salted egg tart, highly recommended for any pineapple fans, best is not so sweet and melt in your mouth! 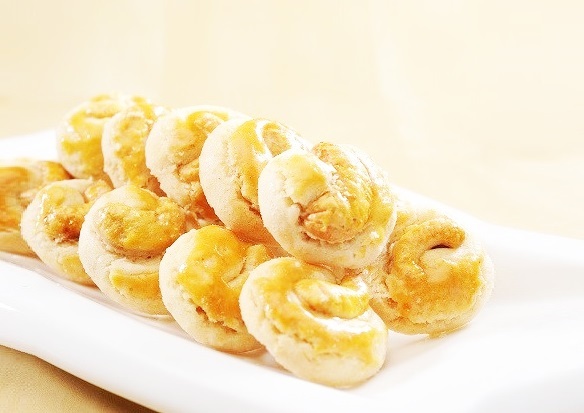 Pineapple tarts are soft and buttery. Melts in your mouth. 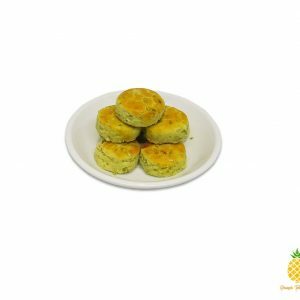 Pineapples has a nice and light tangy taste and also not too sweet. 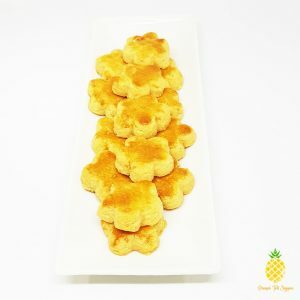 The pineapple tart is soft and give a unique flavour before hitting the pineapple taste. One of the best I have had upon the many I had before. The salted egg flavour is unique as give you the salted egg flavour with the sweet pineapple taste next. Very refreshing! 3rd year ordering, never fail to impress :) love the salted egg yolk cookies and tarts, good combination of flavours, nothing too overpowering. I order to give away to friends and family who matter and praises are always sung. A yearly staple for CNY, no one else’s comes close! Bought in 2018 and a repeat customer in 2019. The new flavour, salted egg yolk, is not for the faint hearted but the salted egg yolk lovers. Extremely creamy and premium butter was definitely used to create such a complex flavour that only us Singaporeans can appreciate. Lovely. The best pineapple tarts i ever had thus far, thick on the inside and buttery on the outside. The salted egg and cheese ones are a great edition too to mix things up. Will defo order again! 10/10 Ate once during Cny, was a cny gift to us. Now We have been enjoying these snacks occasionally. The tarts were soft and juicy. Will not stuck to teeth. Must try! Good gifts for family and friends too. Simply yummy. Melts in the mouth. Best pineapple tarts I’ve eaten. Thumbs up! Very delicious and melts in the mouth! Highly recommend! 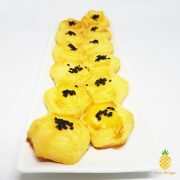 Especially the cheese pineapple tarts! I cannot consume dairy products and have been eating store bought bland cookies. But, was so surprise that the almond cookies are so tasty even without using butter. This is my favourite snack now, will definitely buy again. Ordered for my family last year. Would recommend the almond and cashew nuts cookie. Excellent tarts and cookies for my CNY craving. Will definitely place order again this coming CNY season. 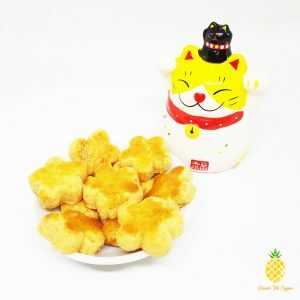 My family and friends love their pineapple tarts, in fact after trying out the cheese version, they never wanted the original. This year, I saw that they have added the Salted egg version of pineapple tarts plus new cookies. 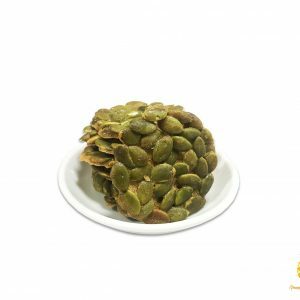 I ordered all their new products which I did not see them on their page last year - the salted pineapple tarts/cookies, and almond + cashew nuts + cranberry cookies last week just to try out. Wow, my family finished them within a day. They are amazingly good. 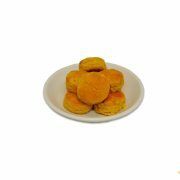 Will order some cookies for upcoming Christmas celebration as well. I am recommending them to my friends and colleagues for coming CNY as they truly meet my expectation. Ordered 2 tubs of pineapple tarts & 4 tubs of crab sticks, my family pretty much finished all of them before CNY even started! SO ADDICTIVE! Honestly don't understand why their tarts are not rated as the top 10. They are better than those are brands hands down. Friends recommended this tarts to me and i must says it live up to my expectation!